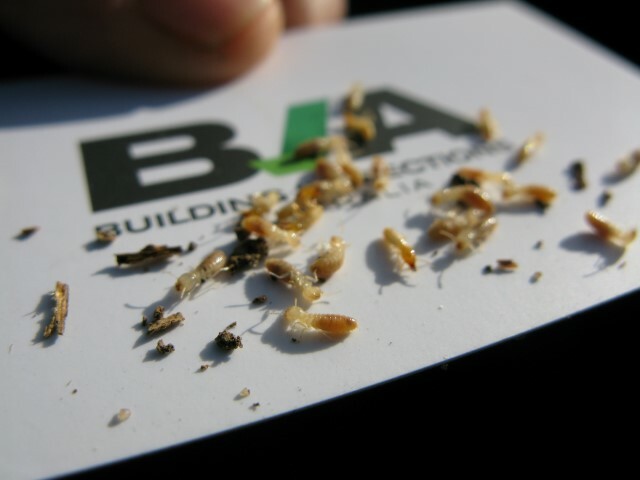 BIA’s Building Inspector working in the Rosebud area took this photo of live termites, which were found during a Pre Purchase Building Inspection. The termites were found inside a piece of timber in the subfloor. The species is Coptotermes, this species is know to cause extensive damage to timber used in residential houses. My client was so relieved she had an inspection as it allowed her to renegotiate the price and was compensated for a termite treatment at the property. Property Inspections in Rosebud are essential for complete buying confidence. For confident, insured and fully independent building inspectors in Rosebud select the BOOK NOW tab at the top of the page or contact us today on 1300 27 4349.